Marshall–Olkin extended distributions offer a wider range of behaviour than the basic distributions from which they are derived and therefore may find applications in modeling lifetime data, especially within proportional odds models, and elsewhere. 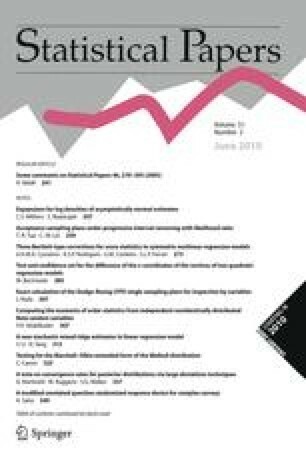 The present paper carries out a simulation study of likelihood ratio, Wald and score tests for the parameter that distinguishes the extended distribution from the basic one, for the Weibull and exponential cases, allowing for right censored data. The likelihood ratio test is found to perform better than the others. The test is shown to have sufficient power to detect alternatives that correspond to interesting departures from the basic model and can be useful in modeling.